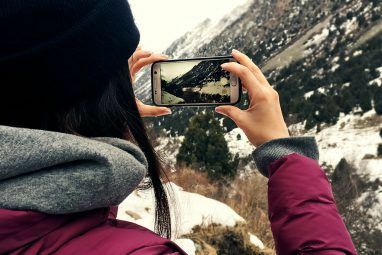 The iPhone’s popularity for photos comes down to several different things – the convenience of having your ‘camera’ with you all the time and the sheer variety of shooting, editing and sharing apps. For a while now, the iPhone has been the most popular camera on photo-sharing site Flickr, and with good reason. 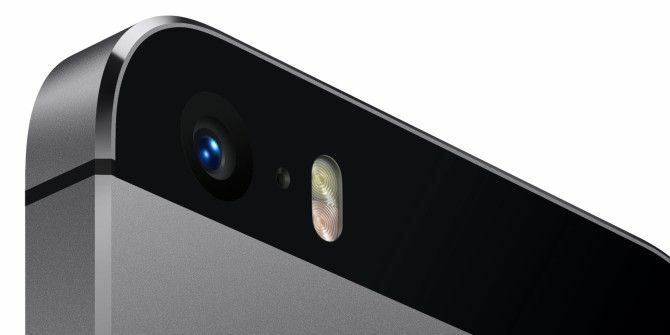 Today, three versions of the iPhone (4, 4S and 5) take up the first three slots in Flickr’s list, while Canon’s 5D Mark II comes in as a distant fourth. 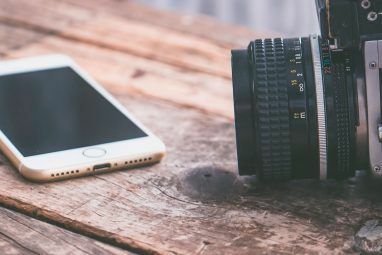 The iPhone has made its way to into professional photographers’ hands and there are quite a few interesting ways in which the phone has been used in a professional or photojournalistic setting. One photographer opted to document the 2012 Libyan conflict using Hipstamatic, while another used the app in Afghanistan. Instagram was used as a means of taking and sharing portraits of the New York Yankees, while a combination of Snapseed and Canon binoculars turned the iPhone into a way to document the Olympics. We’ve put together a list of must-have apps for any serious iPhoneographer. Below you’ll find our recommendations on how to shoot, edit, share and print your photos. Native iPhone Camera: The native iPhone camera is surprisingly good, and with the latest iOS 7 update, it’s gotten even better, and certainly takes away the necessity of using several camera apps. You can take a regular photo (4:3), square photos (great for all Instagram aficionados) and you can also take huge panoramas too. All you have to do is launch the camera, select ‘Pano’ mode , hit the button to take the photo, and just move your phone continuously to take the shot – just make sure that the yellow line stays in the centre of the shot. Hipstamatic: If you’re looking for a purist approach to your iPhone photography, or want to give your photos an old school feel, Hipstamatic is a popular option. The only catch with this app is that you can’t apply the filters after taking the photo. You select the film and lens first, and once the photo is taken, that’s it. If you want to apply Hipstamatic’s filters in the post-process stage, there is a way to get around this, check out Oggl below. If you’re still getting accustomed to the app, be sure to read our beginner’s guide to Hipstamatic The Ultimate Beginners Guide to Hipstamatic The Ultimate Beginners Guide to Hipstamatic The iPhone photography app Hipstamatic can be a little overwhelming at first, trying to understand how all the different combinations work and what kind of effects you can create using the app. When you first... Read More . Alternatives: If you haven’t taken the plunge and upgraded your iOS there’s two apps that you can use to get these cool iOS 7 camera features. 6×6 is a $0.99 app that will allow you to compose your photos in a square viewfinder, while DMD Panorama gives you access to flawless panorama-taking features. If you’re looking for solid advanced features that include the use of the volume snap, horizon level, a customizable workflow and live exposure, then the $1.99 Camera+ is certainly worth your time. It’s no wonder the app passed a whopping 6 million download mark last year. Other users looking to replace their default camera app should check out Bakari’s review of the $0.99 app ProCamera From The Default iPhone Camera To The Better ProCamera For Serious Shutterbugs From The Default iPhone Camera To The Better ProCamera For Serious Shutterbugs For the last several weeks, I've downloaded over a dozen camera and video apps for the iPhone, and though each has something unique to offer, I was particularly interested in finding the most practical camera... Read More which he has chosen as his default camera app, and his review of Camera Awesome Take More Awesome Photos With Camera Awesome [iPhone] Take More Awesome Photos With Camera Awesome [iPhone] Just when I think there's more than enough iPhone camera apps in the iTunes Store, I stumble upon yet another one that builds off previous camera apps and includes photography features not found in point-and-shoot... Read More , another popular shooting app for iOS users. Both Camera+ and Camera Awesome have made it onto our best iPhone apps list. Another app that’s worth a special mention is FocusTwist Turn Your iPhone into a Lytro Camera with FocusTwist Turn Your iPhone into a Lytro Camera with FocusTwist When the Lytro camera was announced it sounded like it was either the best thing since sliced bread, or too good to be true. If you can afford it, why wouldn't you want to own... Read More , which for $1.99 gives you features similar to the $400 Lytro Camera. Our Take: At the end of the day, the camera app you choose to shoot with comes down to personal preference. When it comes to shooting photos with the iPhone, I’m of the keep-it-simple-stupid attitude and find myself constantly gravitating to the native camera app. Before upgrading to iOS 7, the only other app I used was 6×6, but with the update, that’s simply one less app I have to use. The convenience of having both options in one app is much better for fast-paced street photography. Snapseed: If you’re looking for solid editing features that go beyond adding filters to your photos, Snapseed (which has been acquired by Google) is one of the best editing apps we’ve come across. Despite a bit of a learning curve, the app is extremely easy to use once you’ve got the hang of it. To find out more about the app’s features, be sure to check out our review of Snapseed. This app even made its way onto our list of best iPad apps, and experience on the iPad is identical to that on the iPhone (aside from the smaller screen). VSCOCam: We’ve described VSCOCam as a must-have in any iPhoneographer’s arsenal VSCO Cam: A Must-Have in the iPhoneographer's Arsenal VSCO Cam: A Must-Have in the iPhoneographer's Arsenal There's certainly no shortage of iPhone photography apps - if anything, there might be a tad too many to choose from. If there's one app you definitely need to add to your iPhoneography arsenal, it's... Read More , and since then the free iPhone app has undergone some pretty major upgrades. While the interface still looks the same as it always has, developers have added a bunch of new filters into the mix. VSCOCam is a very simple app to use, allowing you to import photos into the app and apply a variety of filters to your photos. It comes loaded with 10 free filters, but for $5.99 you can download an entire pack of filters that will bump the number up to 48. ShakeItPhoto: If you’re a fan of Polaroid photos, one of the best iPhone apps that we’ve found that replicates that look is ShakeItPhoto. The $1.99 app does just one thing but does it really well. Load photos that you’ve taken, or take photos directly within the app, and it frames them beautifully as Polaroid photos. Photo Frame & FX: If you’re looking for an easy way to create collages on the go, there are quite a few apps to choose from. The free Photo Frame & FX offers a great variety of frames and is incredibly easy to use. There’s a recommended $0.99 in-app purchase to gain access to all of the layouts, and there are some great options available in the upgrade. In addition to being able to layout your photos in some interesting collages, you can also adjust the thickness and colour of the frame, choose between square and rounded corners, and can add labels to your photos. 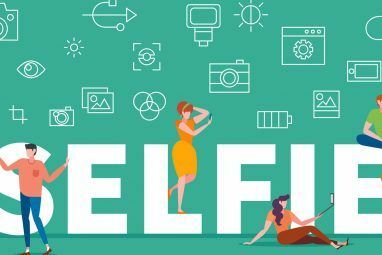 Instagram: It’s unlikely that there’s a photo-sharing app for the iPhone that’s more popular than Instagram, and it certainly needs no introduction. While it’s a great way to share your photos with other likeminded photographers, it also offers the opportunity to do some more basic editing, in the form of vintage filters. Rather than tell you things you already know about Instagram, you should check out a few of our recent posts on Instagram. We’ve got a guide for newcomers to Instagram New To Instagram? Top Tips For Newbies New To Instagram? Top Tips For Newbies When you’re getting started on Instagram, there are a few tips and tricks to bear in mind to make sure that you hit the ground running. The popular app is part photo-sharing site and part... Read More , some tips for making your Instagram snaps stand out and attract attention 5 Tried & True Tips For Winning At Instagram & Getting Tons Of Likes 5 Tried & True Tips For Winning At Instagram & Getting Tons Of Likes When it comes to getting noticed on Instagram, there are basic rules to follow as would be the case with any social network - post regularly, interact with users, include an interesting description with your... Read More as well as an opinion piece about Instagram’s role as a community, rather than as photography application Instagram Isn't a Photography App, It's a Community [Opinion] Instagram Isn't a Photography App, It's a Community [Opinion] Over the past month, there's been a renewed deluge of articles arguing over Instagram's merit as a photography tool. Every so often, tech bloggers, photographers and journalists come together in a discussion over the merits... Read More . EyeEm: In December, a scare on Instagram where users thought Instagram was going to use user photos without permission caused one app to shoot up in popularity. EyeEm is quite similar to Instagram, but doesn’t have the restriction on square photos and you can upload and share photos of any dimension. Naturally, the app comes with its own set of vintage filters. Oggl: As previously mentioned, Hipstamatic can be a great way to take beautiful vintage photos, but when using the app, there is no post-processing feature. If you want to apply Hipstamatic filters after you’ve taken a photo, you can do that with the photo-sharing app Oggl. If you’ve bought a lot of Hipstamatic add-ons, you can import them into Oggl and apply the filters to your photos after you take them with the camera app of your choice, or within the Oggl app itself. After you’ve taken your photo and applied your filters, you can share to the Oggl social network, or to a variety of other sites including Instagram, Flickr and Twitter. To find out more about how the app works, be sure to check out our in-depth review of Oggl Oggl: Hipstamatic's Social Network for Mobile Photographers Oggl: Hipstamatic's Social Network for Mobile Photographers Back in May, Hipstamatic launched its own social networking app, Oggl. The free app brings Hipstamatic's filters into a social network environment a la Instagram, but with an admittedly unique feel to it. Available in... Read More . Flickr: The free Flickr iPhone app offers a lot of new features. In addition to making it incredibly easy to post your photos on the photo-sharing site, this slick and easy-to-use app also lets you apply a bunch of additional filters to your photos before you post them. Since you’re shooting, editing and sharing photos directly on your phone, why not print them as well? PostalPix: PostalPix is a free iPhone app which allows you to order prints and have them delivered directly to your doorstep. There’s a whole bunch of photo sizes to choose from, including square photos. To find out more about how Postalpix works and to see the quality of the prints, check out our in-depth Postalpix review Postalpix: The Easiest Way to Print Your Smartphone Photos [US] Postalpix: The Easiest Way to Print Your Smartphone Photos [US] As the saying goes, the best camera is the one that's with you, and for that reason, if you're a smartphone user, you find yourself taking more and more photos with your phone rather than... Read More . The quality of the final product is great, and the app is incredibly convenient and easy-to-use. Don’t forget you can also print directly from your Camera Roll via AirPrint too. What apps would you add to this list? Let us know in the comments. Explore more about: iPhoneography, Photo Sharing, Smartphone Photography. I found a couple of new apps ... thanks. Does any one know of an app that would allow me to arrange images in a different sequence in an Album? The image order gets jumbled using iTunes? Thanks. Thanks for the list of apps. I have a problem though. I have an iPhone 4 (no Siri) and I have upgraded my OS to iOS7. I have done everything I know to do and still don't seem to be able to access "pano" mode. I am obviously missing a step or something. Can anyone help? Thanks in advance. Hi Stephanie - From what I can tell Panorama mode is available only with the iPhone 4S and up. I would suggest posting the question in our Q&A to get confirmation. Thank you, Nancy. I didn't even SEE your Q&A before. :) Ah well, that is how we learn, right? Photography Assignment Generator, as it has tons of great ideas for shooting to help you get out of a rut or keep on track with your photo 365! Perspective correct does what you think it does...corrects wonky perspective! Check out Pressgram as well. It's similar to Instagram (no video), but it pushes to a WordPress site, so you keep control over your photos.